Julie attended Belmont University in Nashville, TN where she received her B.S. in Exercise Science and Health Promotion. Julie is a Certified Exercise Physiologist through ACSM as well as a Certified Strength and Conditioning Specialist through NSCA. 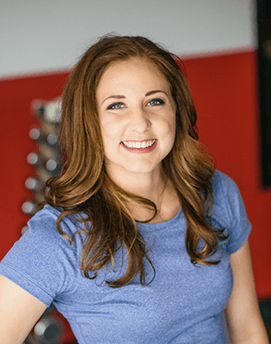 Julie loves to train a wide variety of clients ranging from athletes who are looking to improve in a sport-specific manner to adults and children interested in losing weight and improving their overall health. Her passion is creating programs that cater to the needs and special concerns of her clients, including those with unique or pre-existing chronic conditions: diabetes, hypertension, maternity, and restrictive pulmonary disorders. 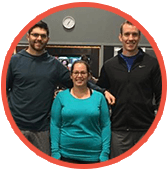 Julie’s primary goal is to educate her clients on safe and efficient movement patterns in order to maximize their results, prevent injuries, and reach their goals in a time-conscious manner.